A professional, efficient, comprehensive, and effective productivity suite, LibreOffice is a feature packed open source software that has the business world looking very hard. This software can be downloaded and installed for free. It comes in over 30 different languages, and works on all major operating systems like, Linux, Mac, and Microsoft Windows. LibreOffice can be freely distributed, downloaded and installed, with absolutely no fear of any type of copyright infringement. 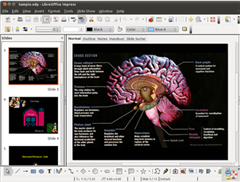 With some very nice features, LibreOffice is a productivity program made for your desktop and is feature packed. 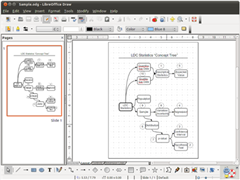 The advantages that you get with LibreOffice are: it’s an open source community backed project. Anyone that has any new ideas or a technology background can take the software for a test drive, and if they feel they can add important information to this product, they can submit their new ideas and be a part of the new version when it’s launched. This product can be used, copied, customized, and even hacked, and it is perfectly legal. There are no fees for this program, it is absolutely free, and you do not have to worry about a software license or serial key. LibreOffice can be used as a replacement for MS Office or OpenOffice because it sports many of the features that you have been using over the years. If you need to work on a document, it can be imported from any MS office program and then saved in any format you choose. The software is very versatile and has a great feel and style. Using programs has never been easier and you can use them virtually in the same way as MS Office or OpenOffice. With this program you also get quality because this company has been working in this particular area for over twenty years. There are thousands of users all over the world that have been beta testing this product. Because this product is completely open it has been tested extensively by security experts, allowing you that peace of mind to know your product is secure. This product is very user friendly, you get a very easy interface that is powerful and you can also personalize it. MS Office users will find this product simple and painless to switch over to. The compatibility with other major office products on the market today makes this product a must have. Because of worldwide community support, developers, newcomers, and advanced users, can help to find solutions to difficult problems if they arise. 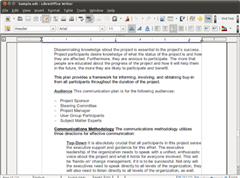 What you get with LibreOffice: a “Writer” program that can be virtually used for everything. Complete projects can be developed like diagrams, bibliographies, embedded illustrations, and entire books with complete tables of contents. The program also features many desktop publishing items like, multi-column newsletters, the ability to create brochures, auto formatting, spell check, auto completion, and many more fantastic features. For numbers you can use a program called “Calc” for analyzing data, and similar to MS Excel. You can import programs back and forth making this very compatible and versatile at the same time. Creating formulas and charts have never been easier using the same system that you would work with Excel. Creating multimedia presentations are very simple with “Impress” sensational animation and stunning special effects, allows you to create a presentations that look as professional as any software program you’ve ever used. Building sketches and diagrams is quite simple with “Draw” Making line diagrams and simple boxes all the way to building 3D illustrations complete with special effects. A program similar to MS Access is called “Base”, this program allows you to build database structures and other components, working very similar and with the same feel as MS Access. If you’ve ever wanted to lay out scientific, electrical, chemical, or mathematical equations then “Math” is the equation editor you will love to use. Coming complete with a PF file creator, LibreOffice is a must try. As always: great writing! It’s really a joy to read your blog entries. And today’s was another gem. I hardly ever read any tech-blogs. Too much information for my line of work, but yours is a tech blog that is fun to read even for people that don’t have their head underneath the hood of the computer all day. Thanks for dropping by Martin. Glad to hear you find my tech blog fun to read. Hopefully there will be more posts like this coming along.